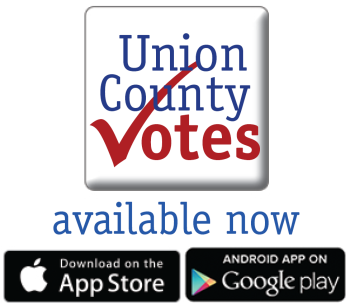 Union County, NJ – Union County Clerk Joanne Rajoppi reminds voters that sample ballots for all 21 municipalities are now available on the new County Clerk elections website, UnionCountyVotes.com, and on the Union County Votes app, a free download for mobile devices. Ms. Rajoppi also advised voters that as of last year, the design of the sample ballot has been altered slightly. It now includes a blue heading to denote the School Board Election section of the ballot. The General Election section is still delineated by a red heading. “The blue heading was chosen to ensure that voters notice every part of the ballot to vote,” said Ms. Rajoppi. To access deed recordings and other County Clerk services, residents can still visit the County Clerk online at the Union County website, ucnj.org/countyclerk. Election links on the left column will connect visitors to UnionCountyVotes.com. Voters with questions about the election process can call the County Clerk’s Elections Division, 908-527-4996.